Turn your phone into a PC-like experience. Samsung DeX lets you connect your Galaxy S8/S8+, Note8 to a monitor, keyboard and mouse for a desktop experience powered by your phone. So you can turn any place into a workplace. If you already own a Galaxy S8 or S8 Plus, then Samsung's DeX dock is a fascinating proposition. For $150, you could cobble together a system that acts an awful lot like a PC.The interface is familiar and overall performance is pretty impressive -- a testament to the power locked away inside Samsung's flagships.The experience isn't without its problems, though. There's a limited number of apps optimized for DeX and others don't always work properly on the big screen. Gathering up all the requisite parts could get pricey, too if you don't already have a spare keyboard, mouse and monitor lying around. 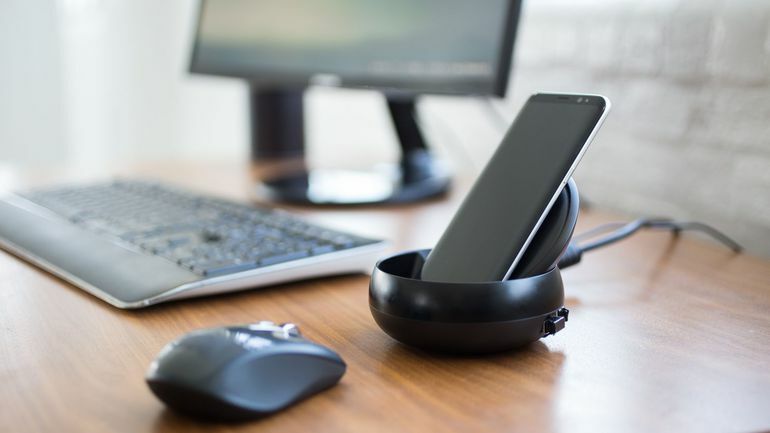 Ultimately, DeX blurs the line between smartphone and PC better than any other attempt we've seen -- we're just not convinced many people will find it genuinely useful.